I'm not quite sure anyone was prepared for the success Kodaline received in 2013/14, not least the guys themselves. That's not to say they didn't deserve it, because they most certainly did, but with such a sudden influx in popularity, it must have been quite the life-changing experience. Following on from their debut record 'In A Perfect World' reaching number 1 in the Irish Albums Chart and a huge summer of playing sell out shows throughout the world, Kodaline make a very welcomed return with their second full-length long player 'Coming Up For Air'. Discovering a winning formula for heart-on-sleeve worn lyricism and teary guitar laden melodies, not much has changed for the Irish lads aside from a newly found euphoria - album opener Honest seems to be the perfect stepping stone between records. Having unearthed a new vigour, they bring together its driving percussion and turbulent guitar lines to form a wonderfully broad cinematic sound, something I felt often lacked in their debut. That's not to say the sincerity and emotional fraughtness has been lost this time around. Tracks like The One and Everything Works Out in the End still retain the simplistic instrumentation and soaring vocals from their first effort yet this time with a lot more direction. With the aid of Jacknife Lee on production there's a tightening up across the board as the band's already alive-and-kicking sound is given an aspirant drive. The thematics of lamenting over a past love still seem to be most prominent but it's what they do best and with Steve Garrigan's softly yearned vocals on Autopilot set amongst its rousing backdrop of strummed guitars and percussion, it's clear to see why. It's not all a mirror picture of ' In A Perfect World' though, especially when Human Again and Play the Game are concerned. Throw aside any previous knowledge of the band and get ready to welcome in brooding guitars with high energy melodies as powering basslines and off-kilter guitar lines kick up the dust on their sleepy nuances. Elsewhere on the record Unclear's tunnelling power is heightened to the max as a children's choir adds further depth to its sweeping and arresting melodies. "When the future is so unsure, When the future is so unclear" cries Garrigan with the utmost of urgency. It's very much Kodaline yet still light-years apart from any previous material with this new paradoxical outlook. Easing in to probably my favourite track on the new album, Coming alive does everything you'd expect from its title. If this isn't a chart topping single then I don't know what is. Leaving behind their anguish opting for more brighter tones and deliverance comes a jubilant uprising of scintillating strings and bouncy percussion. Throw in their sublime pop-sensibilities and incredibly fun vocal transmission and you're on to a sure-fire winner. And it's nice to say the upbeat nature doesn't stop there. Ready is another fine slice of perfection as jaunty basslines rumble beneath before piercingly sharp guitars stab through the mix. By the time it fades in to Better you're knocked for six a little. With no warning the band are back to their disconsolate ways for another softly strummed downer. Its raw emotions and honest lyrics ache with a distinguished pain I'm sure many of us can relate to. And that's the thing with Kodaline, their open and earnest nature as a band have made them one of the more relatable acts to shine in recent times and 'Coming Up For Air' is a record that does this so well on many different levels. 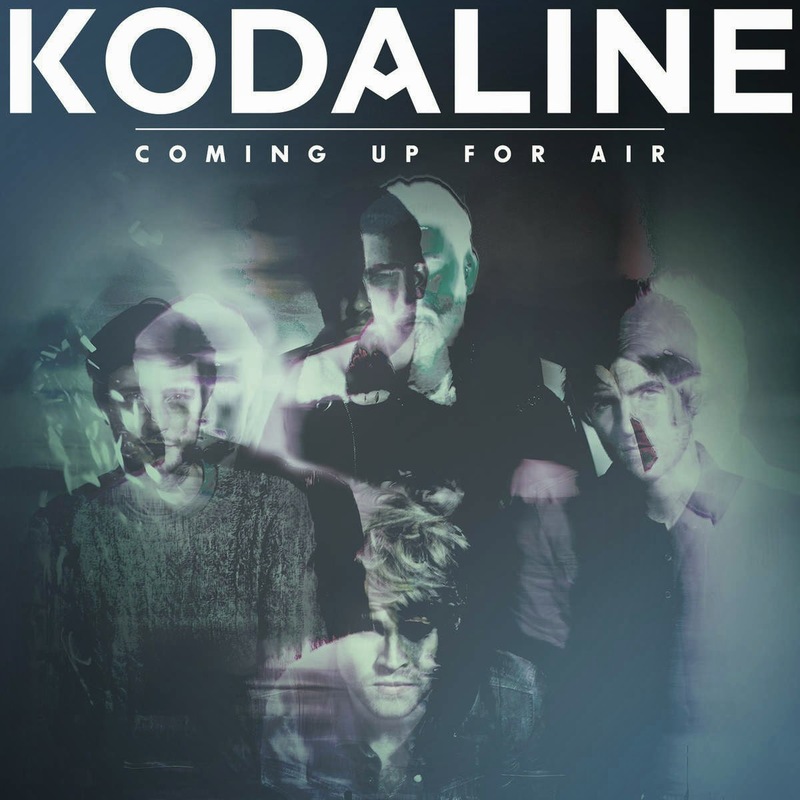 Kodaline's second studio album 'Coming Up For Air' will be released on 9th February 2015 through RCA Victor. You can pre-order a copy here.